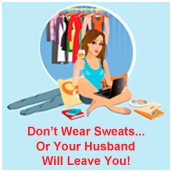 We all have those little things that irk us about our spouses. Some women tell me that their husbands are too involved in every little decision around the house, making buying a new chair harder than getting your toddler to try broccoli. Some women tell me their spouse’s are so tight with money that they can’t buy a ribbed tank without a budget discussion. Well, neither of those are Mark. For the most part he’s hands off when it comes to decisions and purchases (yay for me). No, mine is an obstinate man with a desire to do everything in the easiest quickest way… with little remorse to boot. This entry was posted in parenting and tagged husbands can't live with em, Jenny from the blog, men are stubborn men are difficult, mom blog, parenting, relationship humor, the suburban jungle. humor column on October 27, 2014 by Jenny from the blog.